Australia’s Matt Banting and Brazil’s Wiggolly Dantas will be racking up the air miles and surfing line-ups with the world’s best next year on the ASP tour. Matt and Wiggolly have been on the Quiksilver surf team since they were grommets. They’ve both killed it on this year’s WQS competition already clocking up the points before the end of the season to qualify for the 2015 tour. Current world n°2 on the WQS circuit so far, Matt Banting has had an awesome year including two victories at Burton Toyota Pro 6 stars event in Australia and Los Cabos Open of Surf 6 stars event in Mexico. 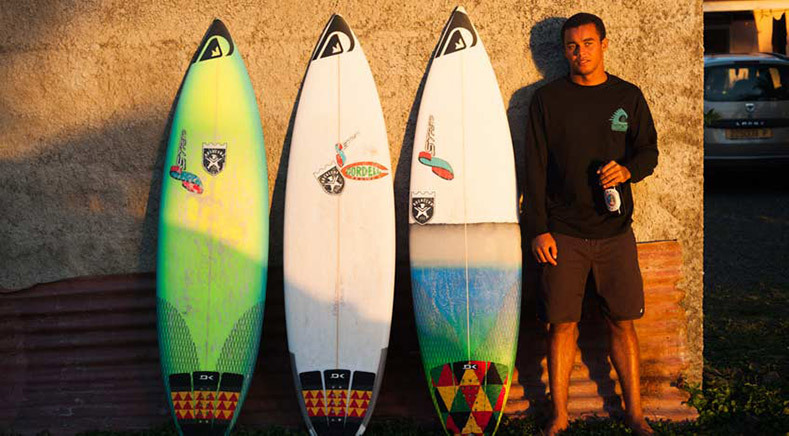 Last week, the Aussie prodigy reached the final of the O’Neill Prime in Brazil. Wiggolly Dantas is ranked 3rd on the 2014 WQS ranking thanks to his sweet victory at the Quiksilver Saquarema Prime in Rio, a 2nd place finish at Volcom Pipe Pro 5 stars event in Hawaii and a 3rd place at the Cascais Billabong Pro Prime event in Portugal earlier this year. The last two Prime events of the season to be held in Hawaii will give our other Quiksilver surfers an opportunity to maybe grab a spot on the ASP tour next year. Brazilian Jesse Mendes has a pretty good chance to join Banting and Dantas in the Top 34. For French surfer Jeremy Flores, a 9th consecutive year on the ASP World Tour requires a couple of heat wins in the last two Prime events. As for Italian Leonardo Fioravanti, a ticket for the supreme circuit is subject to a double feat in Hawaii (two quarter finals).